In today's world, we all face the pressure to stand out from our peers. Some literary stand out in the society, by the virtue of their height. Here is a list of the top 10 tallest women in the world as of 2017. Heather is the definition of being comfortable in your own skin. This American lady stands at 196cm/6ft and 5.5inches. Heather reached her current height at the age of 15 and has gotten used to being tall. Heather currently lives in Las Vegas and has gained popularity due to her height. Her claim to fame came after her pictures went viral on the internet. She has a website where she interacts with her fans and sells her pictures. Although Heather has trouble maintaining her health and getting fitting clothes and shoes, she is not deterred from wearing high heeled shoes. She particularly loves stilettos and platforms; in her favorite pair Heather attains a whooping 7ft and 21/4 inches. 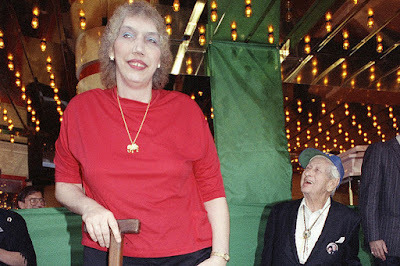 Ranked the ninth tallest woman in the world Rita is 6ft and 8 inches/203cm. Just like Heather, Rita towered over her peers in childhood. Rita's height is beneficial as it has enabled her to earn a living. She now lives in the United States where she is a reputable basket-baller in the US women's team. At just 24 years old, Miss Welz measures 6ft 9inches/206cm and is an inspiration to the people in Germany. Her height is due to a hormonal disorder known as gigantism. She is a tailor by profession hence it's easy for her to make her own clothes. However, her shoes are custom made since her feet are 51 inches . Miss Welz is also a part-time model. She has gained celebrity status in Germany and is currently the tallest person in the country. Malee is the tallest woman in Thailand and second tallest in Asia. Standing at 208cm/ 6ft and 10 inches, Malee attributes her height to a tumor in her pituitary gland behind her eye. Being tall to Malee has not been a blessing. She was forced to start attending school at the age of 13, since her siblings were too embarrassed to be seen with her. She was also too big to fit on her dad's motorcycle. Malee stands a chance to live a normal life if the tumor leading to her disorder is permanently removed. However, efforts to get rid of it via surgery have been futile since it regrows. Her only option now is a drug that causes the tumor to shrink. With a height of 211cm/ 6ft 11 inches, Gitika Sriastava is the tallest woman in Asia. Her height is attributed to family genes. 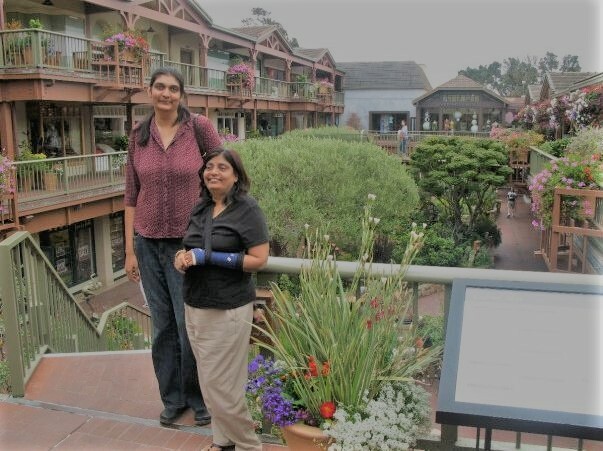 Gitika's father was 7ft and 4 inches tall; he was a basket-baller. And just like her dad, Gitika has used her height to make a living by playing basket ball. Gitika is an inspiration to women in Asia especially in India. She is an example of how to turn a negative into a positive. When life give you lemons, make lemonade! No one has served this statement justice like Uljana. With a height of 7ft and 1 inch/ 215cm, the 64yr old Russian has put Russian basket ball on the global map. Deemed to have the biggest feet in the basket ball court, Uljana has gone to win 2 Olympic gold medals and has set the record of never losing in any international tournament, Uljana is also the only Russian woman to be in the basketball Hall of fame in 1999. 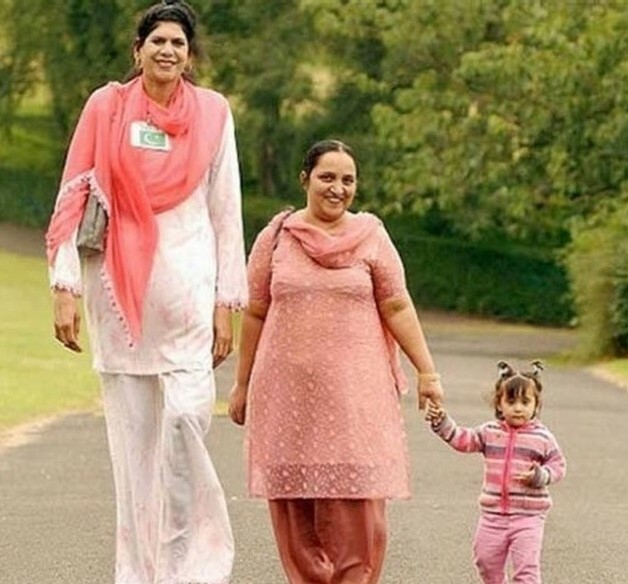 Zainab being the fourth tallest woman has had a rather unusual reason to be granted asylum. Originally from Pakistan Zainab Bibi was forced to move to Britain due to complaint from her family. Her family member claim that Zainab's 7ft 2inches height/218cm makes them an easy target to attacks. Zainab was granted asylum in Britain and now resides in Manchester. The Polish people are tall so it's no surprise they produced the third tallest woman in the world. 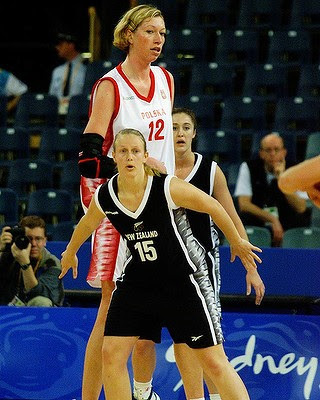 Born in 1974, Małgorzata grew to be 7ft 2inches/218cm tall. She was the tallest in her family and just like many others on this list Małgorzata took up a career in basketball. She played for Poland's national team and won several awards. She was got married to David Twigg and had two sons. She however died in 2011 at the age of 37 of a heart attack, right after she took a coaching job in Australia. Born in Chicago in 1955 Sandy Allen reached 7ft 7 1/2inches tall during her lifetime. Her height was attributed to a tumor in the pituitary gland that led to high secretions of growth hormones in her body. Surgeries to combat the tumor were unsuccessful. Allen never married and died in 2003 at the age of 53. Allen's achievements include writing a book 'Cast a Giant Shadow' and hold holding the world Guinness Record for being the tallest woman during her life. Several films and documentaries have produced telling her story. 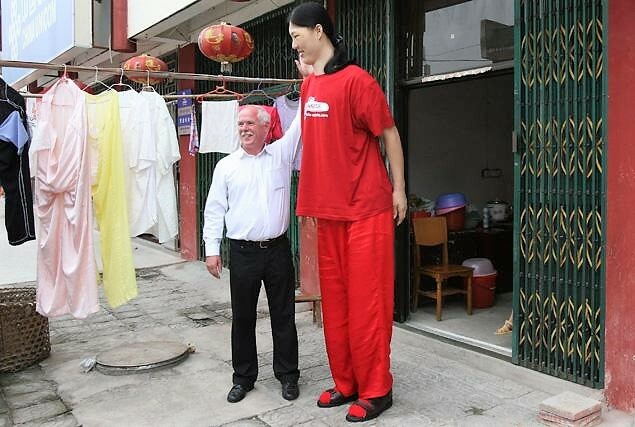 The child of peasant Chinese farmers, Yao Defen holds the record as the tallest woman with a defying height of 7ft 8 inches/234cm. Just like Allen, Yao Defen also suffered from a tumor in the pituitary gland that led to excessive production of growth hormones. Her parents noticed her abnormal growth when she was a child. Yao at 3 ears old ate thrice as much as other children of the same age. 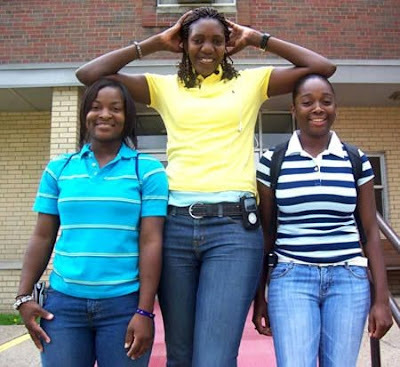 At only 15 years Yao was 6ft 9 inches tall, she was diagnosed with the tumor but could not be treated since her family could not afford it. Plans to recruit her into sports failed since she was too weak. Sadly Yao died in 2012 at the age of 40.